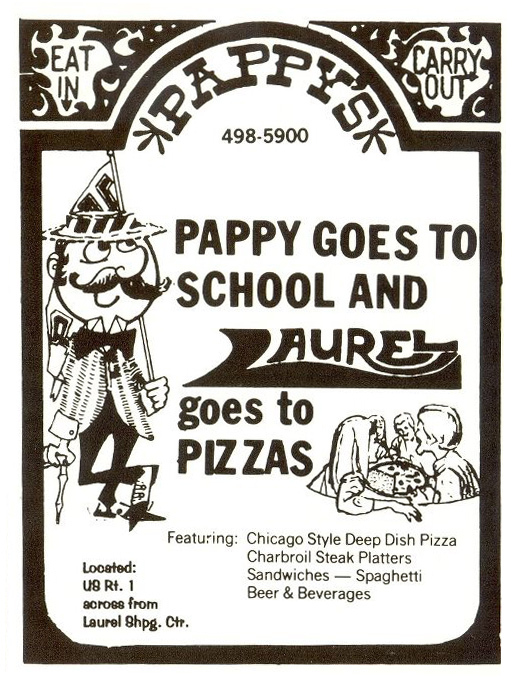 I have to say, really good pizza was abundant in Laurel throughout the 1970s and 80s. 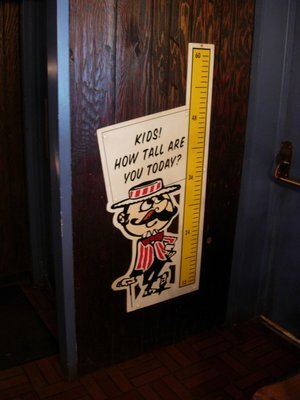 Delaney’s/Irish Pub, Pal Jack’s, Village Inn… even Pizza Movers wasn’t bad. (And hey, they delivered!) We’ll explore each of them in time, but let’s start with one of the earliest departures—a place that countless kids who grew up in Laurel retained countless memories of birthday parties, balloons, styrofoam party hats, and yes… really good pizza. 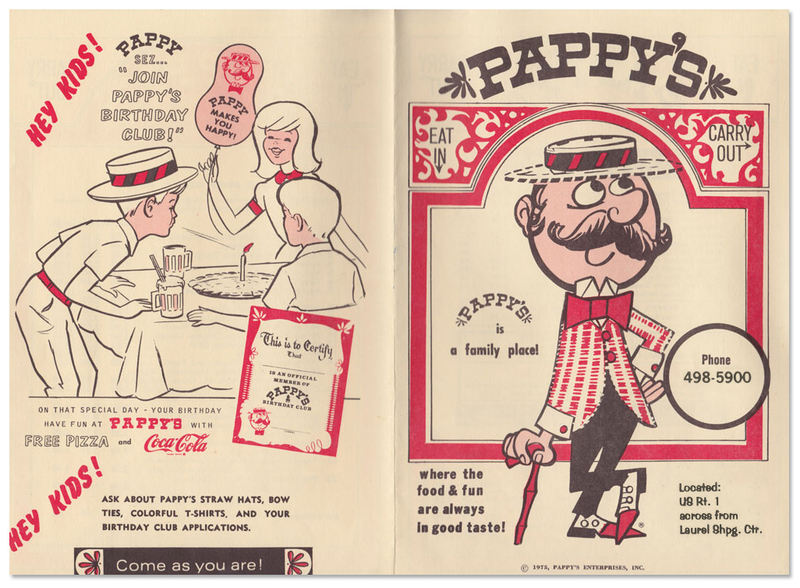 This was Pappy’s—alternately known as Pappy’s Family Pub. Pappy’s was located directly across from the Laurel Shopping Center, in the building currently occupied as of this writing by a Wells Fargo bank. (Yawn). As many have fondly recollected, an additional treat at Pappy’s was the fact that one actually had a very good view of whatever happened to be playing on the big screen at Wineland’s Drive-In theatre, which was situated literally just behind the restaurant. For a kid, particularly, getting a free peek at an outdoor movie playing on a massive screen from the cozy confines of a pizza parlor only added to the mystique. 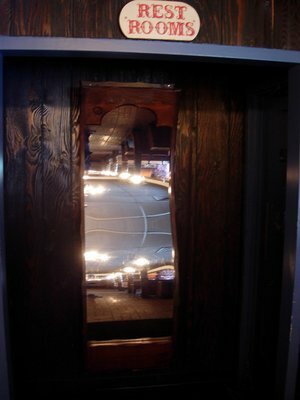 And there were some unique features within those cozy confines, as you might recall. 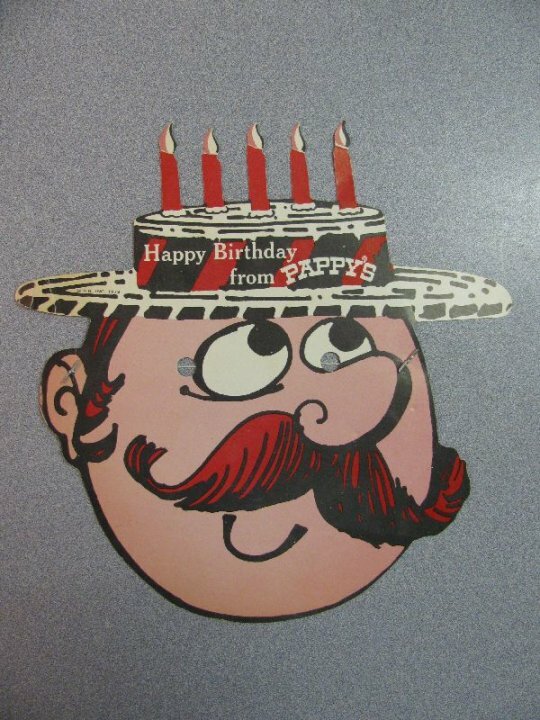 Some of our Facebook friends have pointed out their favorite memories—including the player piano, the unique kitchen window that allowed customers to watch the pizza-making magic, the balloons with “feet”, allowing them to stand on the tabletops, funhouse-style “fat and skinny” mirrors, and those styrofoam Pappy’s hats. Pappy’s was indeed a fun and happy experience for nearly everyone who had the chance to enjoy it. It also benefited from a strategic location, being directly across from the Laurel Shopping Center exit. That’s my perception, at least—as I know from experience that I’d vehemently crave pizza as soon as my parents would reach that traffic signal. It’s probably safe to assume that the current Wells Fargo doesn’t possess that same enticing Pappy’s charm and mystique. But then again, could anything? Thanks for posting this! Lots of great memories of this place. I remember that player piano and the styrofoam hats well! Wish more places like this were still around. Thanks, Kevin! Outside of New York City, I can’t remember the last time I actually went to a genuine “pizza place”, sat down, and enjoyed a meal. 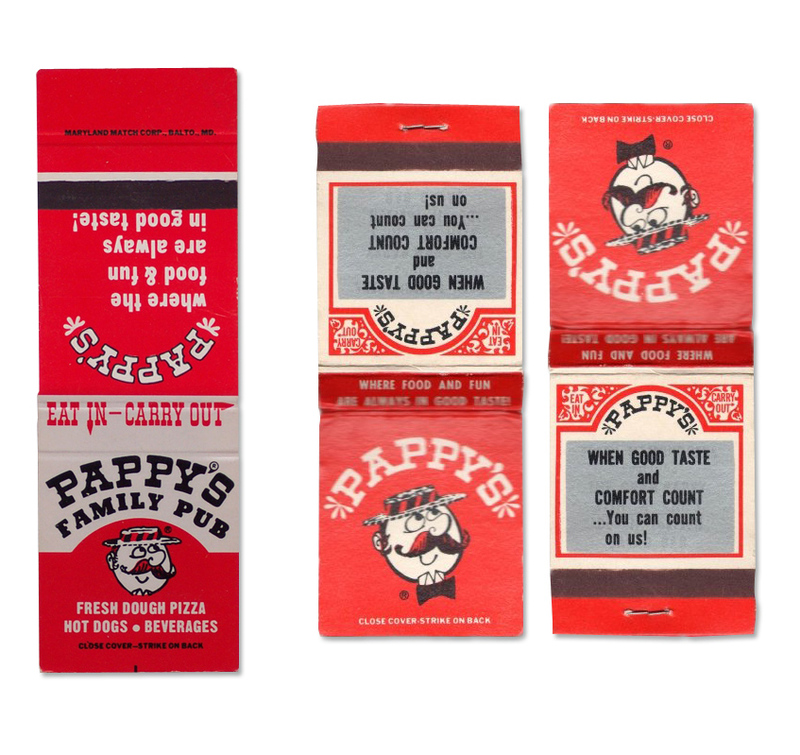 Certainly nothing that comes close to the Pappy’s experience we recall from our childhood. While delivery is obviously a plus, there’s something lost in today’s corporate, cookie-cutter world. 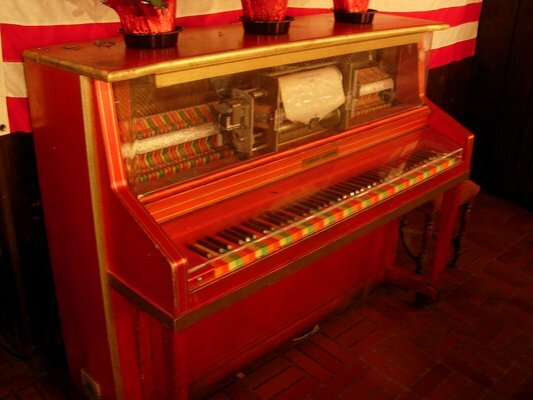 I have one of the Pappy’s player pianos. It’s red and white and so much fun. My neighbor worked there we used to love going there and watching him behind the glass flip those pizzas was a great place!! and don’t forget that delivery legend of the day Pizza Express I have never come across another pizza that was there equal!! Wow, what a memory. I never knew that Pappy’s was that big of a chain. I used to love eating there, and I forgot about the mirrors. I loved the player piano’s too. Thanks for the memories. I really miss the Pappys steamship round of beef sandwiches I used to get with a schooner of beer. How could they allow that to die out. There was nothing better. 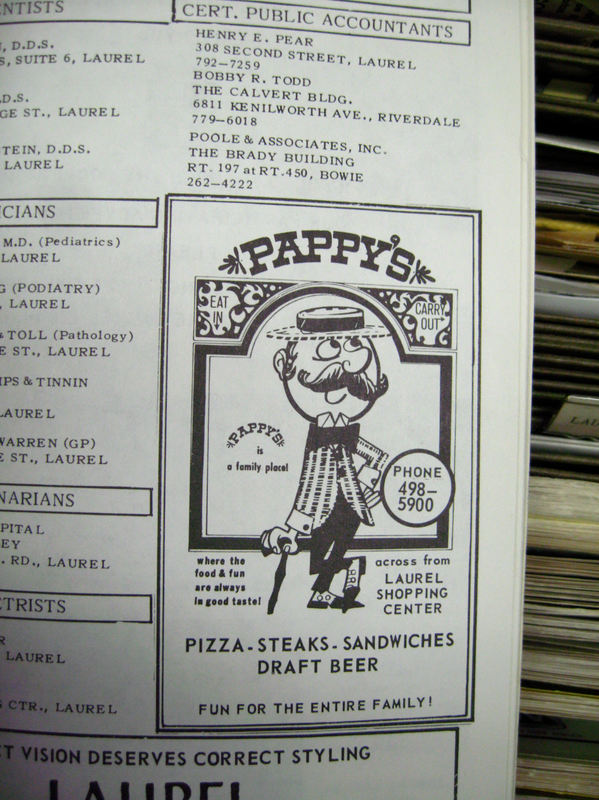 Feeling a little nostalgic, I searched Pappy’s Beef and Beer and came across this article. 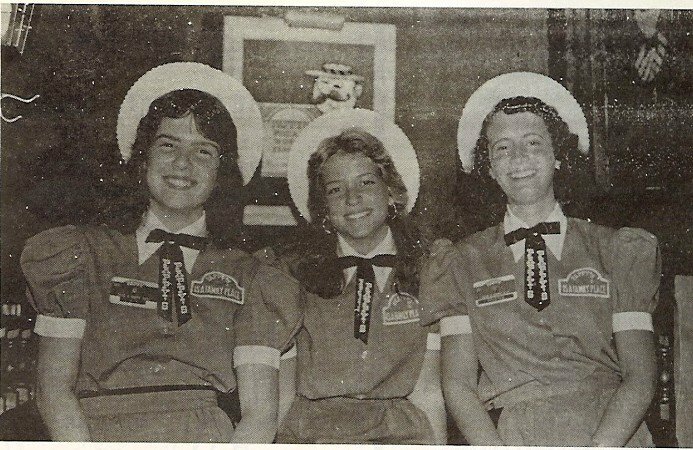 I was a young manager at Pappy’s Route 40 West in ’76 and then at 28th Street in Ocean City from ’78 through ’82. Lot of great memories in those pubs and worked with a lot of fun people. Frosted mugs and schooners, fresh carved beef and hand spun pizza. Love to hear from anyone who worked with me or was a customer with us. 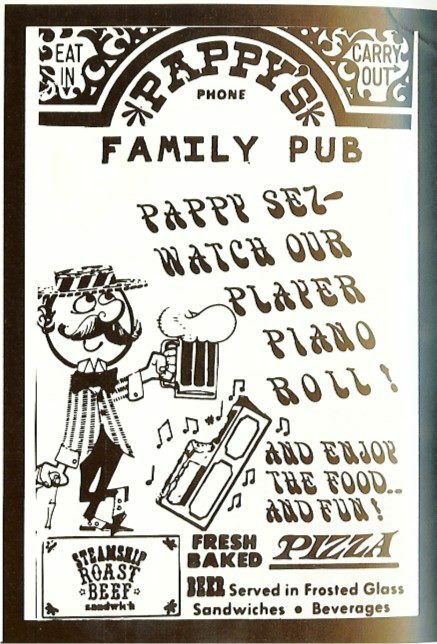 In the late 60’s and early 70’s there was a Pappy’s Pub in Hagerstown, MD. Loved their pizzas and especially the Steamship Roast Beef sub. Would love to know the recipe for those subs. 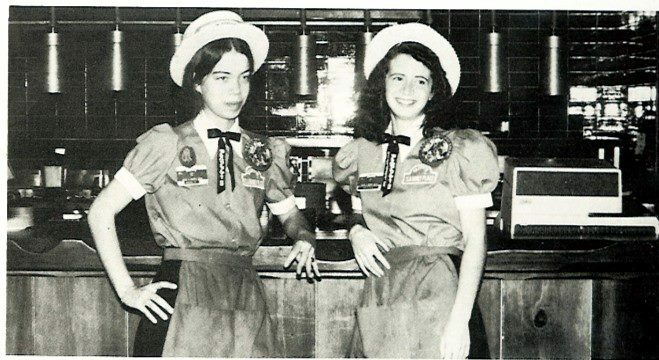 I worked at the Pappy’s in Gaithersburg, MD. The owner was the same one that owned the Laurel restaurant. Great place to work for your first job at 16. Flipped pizza’s in the window for several years. Thanks for posting this information. It really brought me back to my childhood growing up in Daytona Beach, FL in the 1970’s. 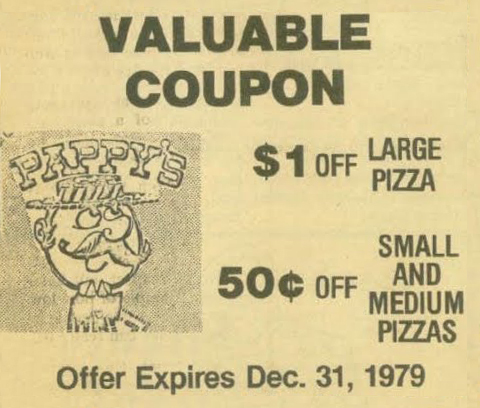 We had a Pappy’s Pizza in the DAYTONA MALL on Nova Road. 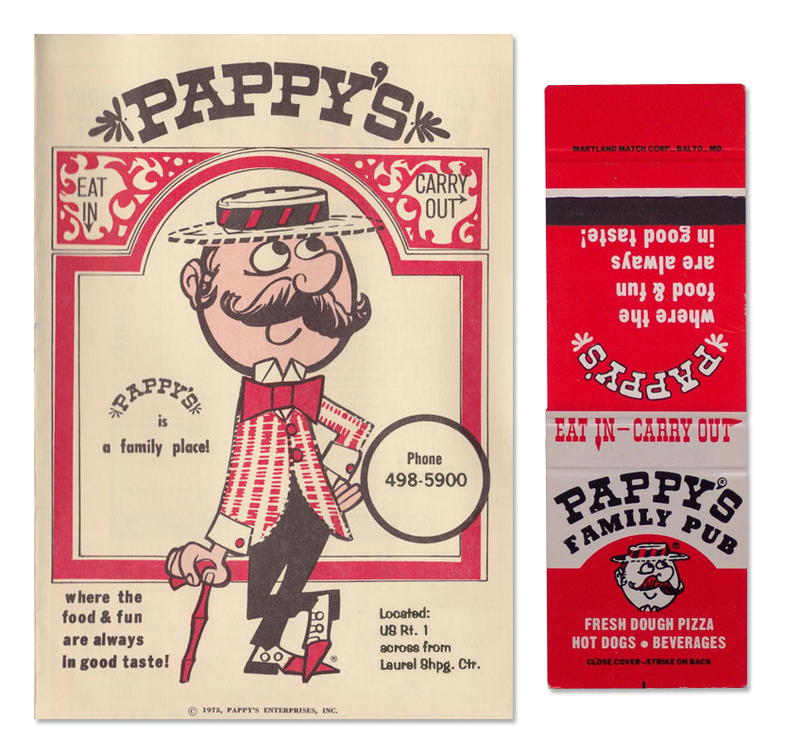 It was always a treat when my parents would bring us to Pappy’s Pizza for dinner. Seeing the items you posted brought back fond memories of my childhood and the wonderful pizza and food at Pappy’s! I really do miss that place. Unfortunately, they closed our Pappy’s after only a few years I am guessing due to lack of business or maybe high rent due to it being inside a mall. Not sure why but it was a loss to Daytona when they did close up. By the early 1980’s, Pappy’s was gone from Daytona. 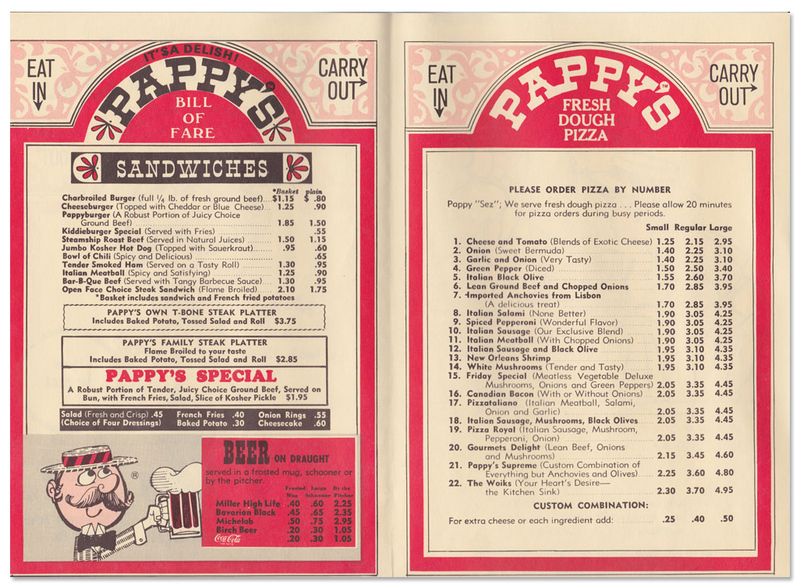 I went to a Pappy’s Beef & Beer in Baltimore once with my parents in the ’70s, and never forgot it. Searched online for it once before, but came up with nothing then. We also loved going to Stewart’s for Steamburgers in summertime….absolutely fantastic they were..
A trip down the corridors of my childhood….